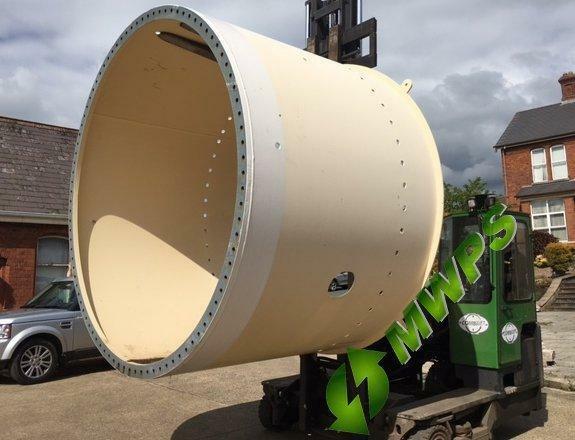 Quality build Wind Turbine Foundation Drums/Cans, manufactured by one of our local suppliers crafted with the latest Hydraulic Tube Bending Technology and Welding Systems and assembled under strict and highest UK Manufacturing Guidelines. Turnaround delivery times only approx. 2 - 3 weeks from order. Prices for the complete new foundation can with newly manufactured foundation flange ring fitted upon request. Turn around approx. 2 - 3 weeks from date of 50% down payment received. Time wasters and tire kickers will strictly not be accommodated!